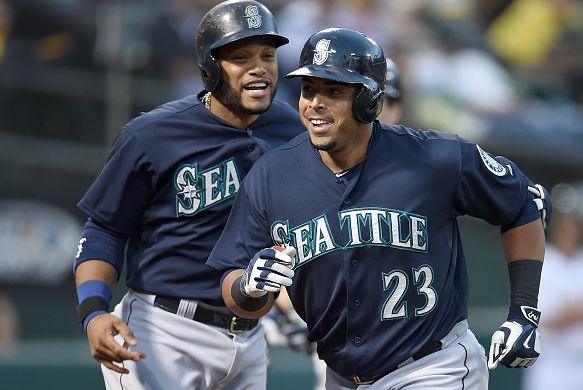 The Minnesota Twins sign free agent Nelson Cruz to a one-year deal worth $14.3 million. The Twins bolster their offense as they aim to return to the playoffs after their somewhat surprising trip there in 2017. In arguably the weakest division in baseball, where the standout Cleveland Indians are favourites despite weakening the roster from last year, the Twins signing of Cruz gives them a really nice bat at a good price for one year so should they be nowhere near postseason consideration come the trade deadline, there will be enough American League’s looking for a right handed power bat, even if Cruz is only a DH at this point. The main knock on Cruz from a fantasy standpoint is his eligibility as a DH/Utility player only. It’s understandable that this hurts his value as people love flexibility in their rosters (me included). 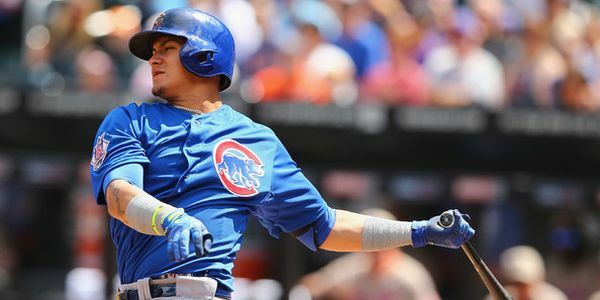 But the UTL spot is one you still need to fill and if you have some flex with other players (Bellinger, Shaw, Gallo etc) who can fill in two or more positions, you could do a lot worse than drafting Cruz. Multiple position eligibility only comes into my thinking when I’m torn between two players. For example, Travis Shaw and Josh Donaldson have ADPs on NFBC of 96th and 98th respectively. Shaw has 2B and 3B eligibility whilst Donaldson only has 3B. If I ranked them identically and they both fall to me at one spot in the draft, I’d go for Shaw over Donaldson. But I’m not basing the judgement purely on the 2B eligibility. So disregarding Cruz purely as he’ll be fixed into one roster spot which you’d need to fill in anyone doesn’t make much sense. Cruz has been one of the games’ elite power hitters for some time now and even at the age of 38, he doesn’t show signs of diminishing yet. No one has hit more homers in the last four years than Cruz’s 163. Since 2014, there have been 55 occasions of someone hitting 37 or more homers in a season, something Cruz has done every year. You can look at his 2018 numbers compared to 2017 with the batting average dropping from .288 to .256 and missing some time with a sprained ankle but these aren’t problems to keep you away from. The drop in batting average came in the second half when Cruz was dealing with some minor knocks and even at 38, there’s been no health concerns for Cruz. His hard hit rate was actually higher in 2018 and was the highest of his career with his line-drive and flyball rates similar to before. If Nelson Cruz had outfielder eligibility, how many of these names would you take in front of him? 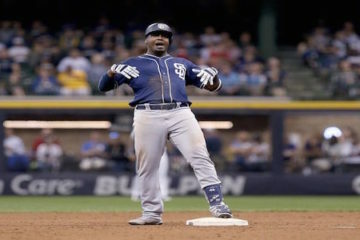 Obviously, Cruz offers no stolen base help where others do. Harper, sure. Hoskins, if you’re gambling on a big breakout, ok. But Cruz’s consistency carries weight which is only being submerged by his UTL only status. The move to Minnesota isn’t actually ideal for Cruz as although Target Field is a better overall hitter’s park than Seattle, it’s actually slightly worse for homers. Not enough to warrant concern his power will falter and given the Mariners subsequent rebuild this Winter, Cruz is better off where he is now. If you look to get steals in the early round and lack some power by the time you reach the 8th round in your draft, Cruz should be the first name you target. In AL-only leagues where UTL only players are more prominent, Cruz should be gone by the end of the 5th round and again, I’d likely be the one targeting him there. Don’t let his lack of position eligibility put you off.